university’s basic research orientation has always been and will remain fundamental research. At the same time, the university remains vigilantly open to contemporary cultural, economic and industrial realities, as well as to the community’s needs and expectations. From a basis of social responsibility and scientific expertise, KU Leuven provides highquality, comprehensive health care, including specialised tertiary care, in its University Hospitals. In doing so it strives toward optimum accessibility and respect for all patients. The research will take place within the research groups Electa and TME. The Electa research group of the electrical engineering department of the KU Leuven performs research on all aspects of generation, transmission, distribution and rational use of electrical energy. The group is headed by Prof. Geert Deconinck. The research area covers techno-economic aspects of the liberalized electricity markets, with special emphasis on the transmission system. Topics covered are smart grids, reliable power systems with high penetration of renewable energy sources, HVDC , energy markets, integration of renewable energy sources on transmission and distribution. Four other professors lead the group. They manage the research assisted by 11 post-doc’s and about 50 Ph.D. students. with other disciplines, is pursued. system operation and planning, markets and storage modelling. collaboration with local, regional and international partners. 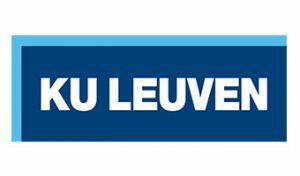 KU Leuven is involved in the setup of simulation models which include services. Leuven has also minor contributions in WP2 and WP10.